Glynn A. Granger, born on March 14, 1944, was the eldest of six children born to Willie Pierre Granger and Hilda Trahan Granger of Maurice. In his early childhood his family moved to Prairie Gregg, a community south of Erath where his father worked as a sharecropper. Working alongside his father, he spoke Cajun French, a childhood experience to which he attributes his bonding with the Cajun heritage. In first grade in Henry, Louisiana, he struggled but was determined to learn English. In 1957, the Granger family moved again and he attended Maurice High School where he participated in sports, winning two consecutive state titles in the mile run. In 1962, he graduated as valedictorian of his class. He completed his pre-med courses at USL in Lafayette and was accepted into the LSU Medical School at New Orleans. From the beginning of medical school, his Cajun heritage and Cajun French language proved invaluable when no other medical student could speak It. Granger was asked to be an interpreter for the French-speaking patients treated at New Orleans Charity Hospital Emergency Room. After his third year of medical school, he did an externship at University Medical Center (formerly Lafayette Charity Hospital). Once again, he was asked to be an interpreter for the Cajun French speaking patients. 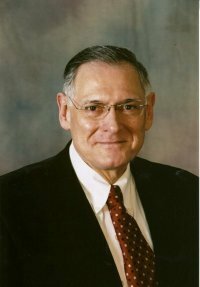 Upon completion of his general surgical residency in 1974, he joined General Surgical Clinic, (later changed to Acadiana Surgical Clinic, Inc.) in Opelousas, where he established his general surgical practice. On his first day, he was given the list of 74 patients in the hospital. He began seeing patients and greeting them in Cajun French. He believed that honesty, a good doctor-patient relationship, physical contact with the patient, and effective communication were keys to healing. A connection with patients began by speaking in a language the patient could understand, and if that language was Cajun French, Dr. Granger was always ready to bring his effective communication skills into the healing process. Dr. Granger is a Fellow of the American College of Surgeons and a Fellow of the International College of Surgeons. Upon retiring after 37 years of private practice, he is now actively involved with NUNU’s Arts and Culture Collective in Arnaudville, attending weekly activities such as La Table de Francaise, the Cinema Francaise, Cajun French dancing, and potluck suppers. He was in attendance when the Collective hosted French graduate students from LSU, Tulane, and University of Wisconsin-Eau Claire. He participates in cultural exchanges with delegations and programs from France. He is always available when visitors pose questions concerning the different Cajun dialects and culture. He also has been actively involved in Cajun and French studies throughout the state and is an enthusiastic supporter of the Maurice Historical Society. Dr. Granger and his wife Nancy live in Opelousas where he enjoys spending time with family and visiting aunts, uncles, and friends.